Ocean Jade Blue Round approx 15.5"
BUY ANY 6 ITEMS PAY FOR 5...PREMIUM QUALITY NATURAL GEMSTONE OCEAN JADE ROUND BEADS 6mm PURPLE PINK / GREY... ENJOY THE NATURAL GEMSTONE BEAUTY OF THESE VERY EYE CATCHING AND UNUSUAL BEADS ... 6mm.. 30 PER BAG... HOLE 1mm... PLEASE SELECT FROM A HUGE RANGE OF FINDINGS AND BEADS TO COMPLIMENT THESE BEADS...CLICK HERE FOR MORE INFO AND A LINK TO OUR SHOP FOR THOUSANDS OF GREAT CRAFT ITEMS. BUY ANY 6 ITEMS PAY FOR 5... 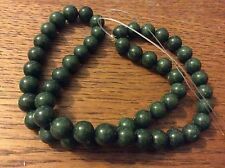 PREMIUM QUALITY NATURAL GEMSTONE OCEAN JADE ROUND BEADS 10mm... ENJOY THE NATURAL BEAUTY OF THESE GEMSTONES, VERY EYE CATCHING AND UNUSUAL... 10mm... 20 PER BAG... HOLE 1mm... PLEASE CHECK OUT OUR OTHER ITEMS WE HAVE A HUGE RANGE OF BEADS ,FINDINGS AND PENDANTS ETC...CLICK HERE FOR MORE INFO AND A LINK TO OUR SHOP FOR THOUSANDS OF GREAT CRAFT ITEMS..PLUS BUY ANY 6 ITEMS PAY FOR 5. 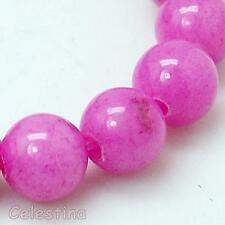 BUY ANY 6 ITEMS PAY FOR 5...PREMIUM QUALITY NATURAL GEMSTONE OCEAN JADE ROUND BEADS 10mm PURPLE PINK / GREY... ENJOY THE NATURAL GEMSTONE BEAUTY OF THESE VERY EYE CATCHING AND UNUSUAL BEADS ....' 10mm ... 20 PER BAG... HOLE 1mm... 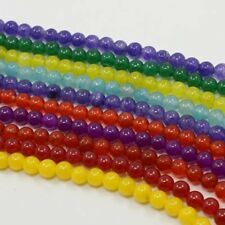 PLEASE SELECT FROM A HUGE RANGE OF FINDINGS AND BEADS TO COMPLIMENT THESE BEADS...CKICK HERE FOR MORE ITEM INFO AND A KINK TO OUR EBAU SHOP FOR THOUSANDS OF GREAT CRAFT ITEMS...PLUS BUY ANY 6 ITEMS PAY FOR 5. 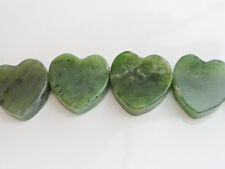 These are adorable little green nephrite jade heart shaped beads. You will get 10 beads per bag. BUY ANY 6 ITEMS PAY FOR 5...PREMIUM QUALITY NATURAL GEMSTONE OCEAN JADE ROUND BEADS 10mm CYAN BLUE... ENJOY THE NATURAL GEMSTONE BEAUTY OF THESE VERY EYE CATCHING AND UNUSUAL BEADS ....' 10mm... 20 PER BAG... HOLE 1mm... PLEASE SELECT FROM A HUGE RANGE OF FINDINGS AND BEADS TO COMPLIMENT THESE BEADS...CLICK HERE FOR MORE ITEM INFO AND A LINK TO OUR EBAY SHOP FOR THOUSANDS OF GREAT CRAFT ITEMS....PLUS BUY ANY 6 ITEMS PAY FOR 5. 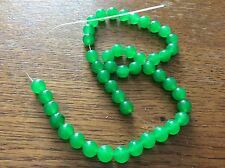 Quality Natural Mashan Jade Gemstone Beads. 8mm Aqua Teal Blue - Dyed. Beautiful Round Glossy Beads. Get Images that. Make Supersized Seem Small. 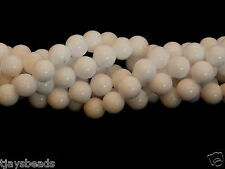 PREMIUM QUALITY OCEAN JADE ROUND BEADS 6mm... ENJOY THE NATURAL BEAUTY OF THESE UNUSUAL AND EYE CATCHING GEMSTONE BEADS ... 6mm... 30 PER BAG... HOLE 1mm... PLEASE CHECK OUT OUR OTHER ITEMS WE HAVE A HUGE RANGE OF BEADS ,FINDINGS AND PENDANTS ETC...CLICK HERE FOR MORE INFO AND LINK TO OUR SHOP FOR THOUSANDS OF GREAT CRAFT ITEMS. PREMIUM QUALITY NATURAL GEMSTONE OCEAN JADE ROUND BEADS 8mm CYAN BLUE... ENJOY THE NATURAL GEMSTONE BEAUTY OF THESE VERY EYE CATCHING AND UNUSUAL BEADS ...' 8mm... 25 PER BAG... HOLE 1mm... PLEASE SELECT FROM A HUGE RANGE OF FINDINGS AND BEADS TO COMPLIMENT THESE BEADS...CLICK HERE FOR MORE ITEM INFO AND A LINK TO OUR EBAY SHOP FOR THOUSANDS OF GREAT CRAFT ITEMS ....PLUS BUY ANY 6 ITEMS PAY FOR 5. PREMIUM QUALITY NATURAL GEMSTONE OCEAN JADE ROUND BEADS 6mm CYAN BLUE ENJOY THE NATURAL GEMSTONE BEAUTY OF THESE VERY EYE CATCHING AND UNUSUAL BEADS .' 6mm 30 PER BAG HOLE 1mm PLEASE SELECT FROM A HUGE RANGE OF FINDINGS AND BEADS TO COMPLIMENT THESE BEADS. 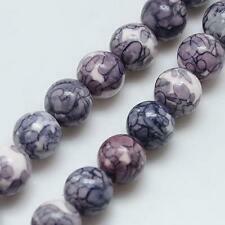 Natural Gemstone - yellow Jade nuggets dyed in shades of purple - the beads are purple, white and cream. 10 beads for sale. The beads have a smooth surface but do not appear to have been polished. (as picture)This Stunning gems is for rock, minerals, fossil and gemstone collector and so on. We want to ensure you that we will be full responsible for our products. Condition?. we will do our best to solve the problems.Anthing can be resolved through communication. Colours may vary due to monitor brightness and lighting effect. 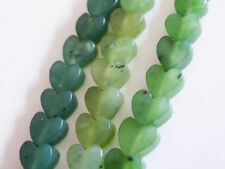 These are beautiful polished green nephrite jade heart beads. You will get 4 beads per bag. 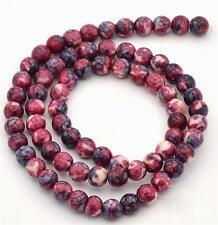 Red round Mashan Jade beads strand. About 38 beads on one strand. 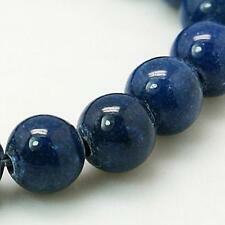 Beads size 10mm, Hole size 1mm. One Strand of Beads. - Length (Approx.). - Shape: Round Bead. Just buy it! Don't just think about it! 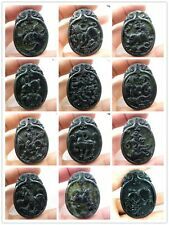 Material: Korean Jade. Shape: Rectangular.